I. Specific changes have been made in the attributes of the scheme to make it more attractive, mobilise finances as per the target and reduce the economic strains caused by imports of gold and reduce the Current Account Deficit (CAD). II. Flexibility has been given to Ministry of Finance to design and introduce variants of SGBs with different interest rates and risk protection / pay-offs that would offer investment alternatives to different category of investors. Ministry of Finance (the issuer) has been delegated this power to amend / add to the features of the Scheme with approval of the Finance Minister to reduce the time lag between finalizing the attributes of a particular tranche and its notification. Such flexibility will be effective in addressing the elements of competition with new products of investment, to deal with very dynamic and sometimes volatile market, macro-economic and other conditions such as gold price. i. The investment limit per fiscal year has been increased to 4 kg for individuals, 4 Kg for Hindu Undivided Family (HUF) and 20 Kg for Trusts and similar entities notified by the Government from time to time. ii. The ceiling will be counted on Financial year basis and will include the SGBs purchased during the trading in the secondary market. iii. The ceiling on investment will not include the holdings as collateral by Banks and Financial institutions. iv. SGBs will be available 'on tap’. Based on the consultation with NSE, BSE, Banks and Department of Post, features of product to emulate 'On Tap' sale would be finalised by Ministry of Finance. v. To improve liquidity and tradability of SGBs, appropriate market making initiatives will be devised. Market makers, could be commercial banks or any other public sector entity, such as MMTC or any other entity as decided by Gol. vi. The Government may, if so felt necessary, allow higher commission to agents. 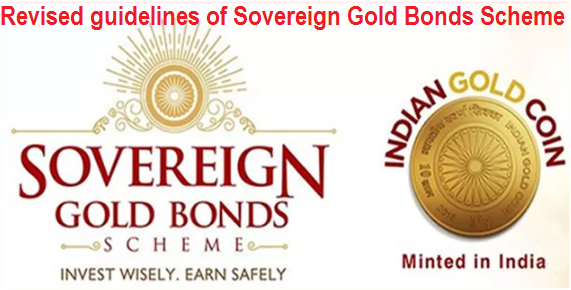 Sovereign Gold Bond (SGB) Scheme was notified by the Government of India on November 05, 2015 after due approval of the Cabinet. The main objective of the scheme was to develop a financial asset as an alternative to purchasing metal gold. The target was to shift part of the estimated 300 tons of physical bars and coins purchased every year for Investment into 'demat' gold bonds. The target mobilisation under the scheme at Rs. 15,000 crore in 2015-16 and at Rs.10,000 crore in 2016-17. The amount so far credited in Government account is Rs. 4,769 crore. In view of less than expected response of the investors to the scheme, and considering its bearing on CAD and consequently on overall macro-economic health of the country, it was felt necessary to make changes in this scheme to make it a success.